An unconventional resort in the Montana wilderness that popularized the "glamping" trend, the Resort at Paws Up is an angler's retreat located within the golden triangle of western trout fishing. The Cliffside and Pinnacle Camps both have honeymoon tents, and even unmarried guests who bunk in one of them will revel in the mix of nature, luxury, and romance. 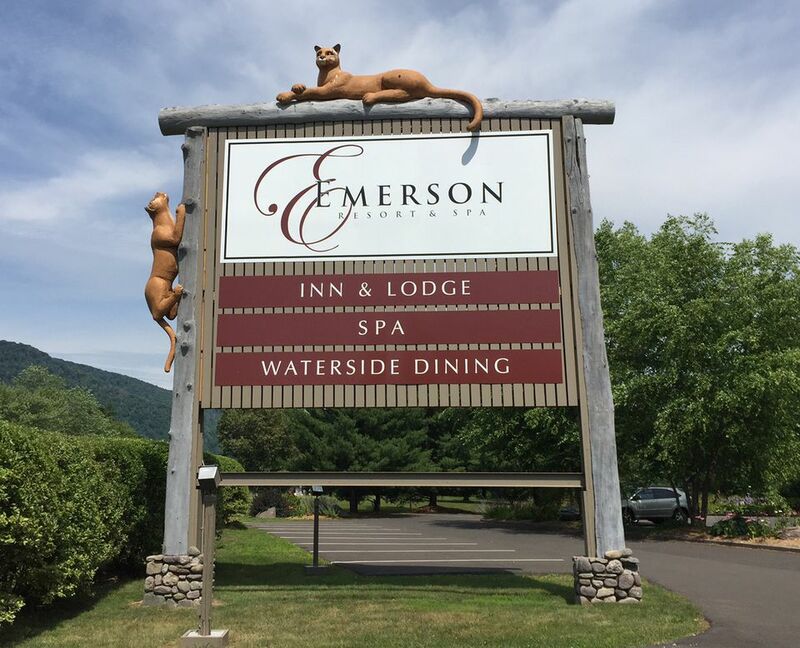 Located in the Northern Catskills two hours from New York City and across from the stocked Esopus Creek trout stream, the Emerson is an upstate New York gem and an oasis of tranquility. In the nearby town of Phoenicia, you can pick up all the gear you need and the Phoenicia Library’s Jerry Bartlett Memorial Angling Collection contains books, rods and memorabilia, workshops, presentations and special events that celebrate the heritage of Catskill trout fishing and clean water. Non-anglers can head for the resort's spa or nearby Woodstock for its arts and shopping scene. One of only two properties in New York state endorsed by Orvis, the premier authority on fly fishing, Lake Placid Lodge is a member of the prestigious Relais & Chateaux group, which means superior accommodations and simply wonderful cuisine. Choose a lakeside one bedroom suite, complete with a wood-burning fireplace and deep soaking tub. In the Florida Keys, sportfishing capital of the world, eco-friendly Cheeca Lodge claims 1,200 feet of palm-fringed beach. The resort will arrange fishing and diving trips for guests, whether they prefer going after big game fish in blue water or stalking snook in the backcountry, Feel like having a lazy fishing vacation? Just cast a line over the resort's own 525-foot fishing pier. Cheeca is also home to the annual Presidential Sailfish Tournament, held every January. Comfortable and affordable, Wapiti Meadow Creek is close to a tributary of the South Fork of the Salmon River, which is a major spawning area for Chinook salmon. In addition to offering fly fishing instruction, this log-cabin resort doesn't neglect the other pleasures of a vacation. Among the offerings: horseback riding, wildlife tours, photography, nature walks, and more. This Forbes Five-Star complex includes the mansion-like Cloister, the manor-like Lodge, the casual Inn, the privacy of the Cottages and seclusion of Broadfield. A legendary, elegant retreat known for its Southern hospitality, The Cloister offers access to some of the best fishing vacations on the East Coast. You can fish and crab right off the dock or go Hobie kayak fishing on the salt marsh. Or charter a boat for an offshore adventure and bring home tuna, marlin, mackerel, cobia, barracuda or sailfish. Can you plan an upscale fishing vacation? Absolutely! Blackberry Farm, inside a 4,200-acre estate fifteen minutes away from the Great Smoky Mountains, is a member of the prestigious Relais & Chateaux group. Its Orvis-endorsed program offers everything from beginner casting lessons to wade and float trips for fly fishing in spring, summer, and fall on the state's most scenic rivers. A working farm, Blackberry offers tasting tours of its fields and gardens and prides itself on serving sophisticated Foothills Cuisine.